Anyone wandering round the Light+Building this year had to look a little more closely to spot the innovations among all the luminaires and flashing lights. For many of them are not discernible to the naked eye but are hidden away in the details of a perfected design, behind the optimization of LED technology and the data flow. 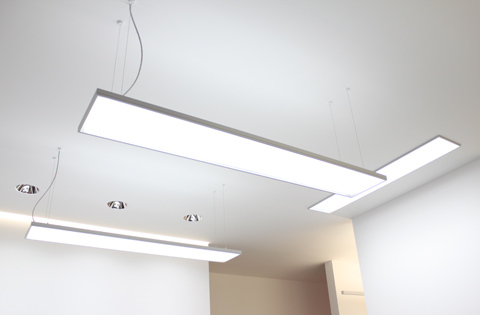 Only two years ago the simple fact that LEDs were used constituted a revolution in the lighting sector. And after our visit to this year’s fair it’s safe to say: Those tiny light diodes are now being deployed by just about every manufacturer and their integration is becoming ever more ingenious. 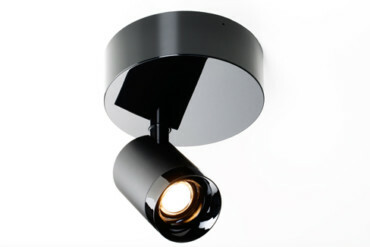 Luminaire design and illuminant are melding to form a single unit. Nimbus takes absolute design purism to the extreme with its “Lady Jane”, the new princess in the Swabian manufacturer’s lines. 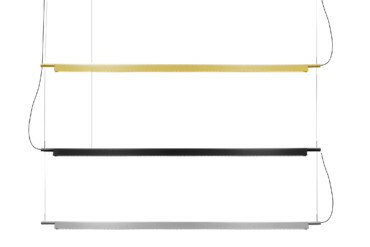 Lady Jane is a slender tall dame and consists only of a light head that can be tilted and a rod made of chromed steel. Anyone stumbling across Lady Jane will nevertheless not upset her, as the colored cable connect simply detaches from the head if pressure is exerted on it. 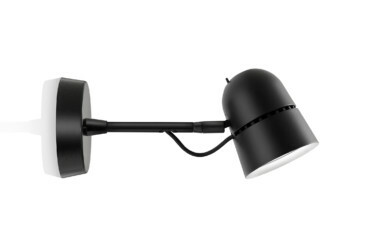 Artemide has also perfected the use of the small diodes. A glance under the skirt of “Melathron”, designed by Michele De Lucchi, doesn’t dazzle. As the LEDs are inserted between rings and thus out of sight. 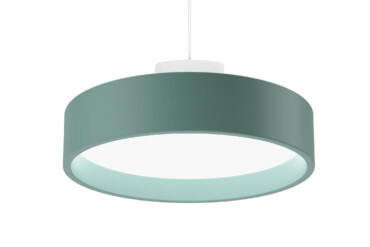 And Luceplan’s “Tango” is equally smart. 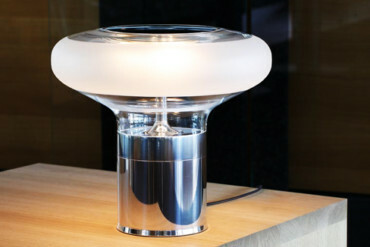 This standard lamp was devised by Argentine designers Francisco Gomez Paz. 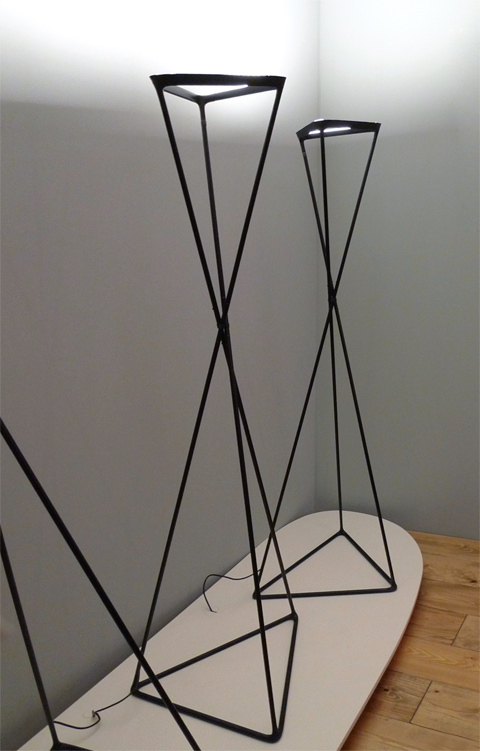 Filigree metal rods form two acute tetrahedrons, the two tips meeting in the middle and which shift if touched lightly, without any massive joint upsetting Tango’s tender silhouette. 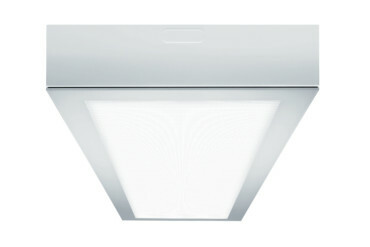 Yet for all the optimization and perfecting of the LED luminaires, you can sense the yearning for the light of the good old bulbs everywhere: Be it among manufacturers such as Ingo Maurer, or even the illuminant makers Philips and Osram – the wish is for LED light that creates a homely feel-good mood. 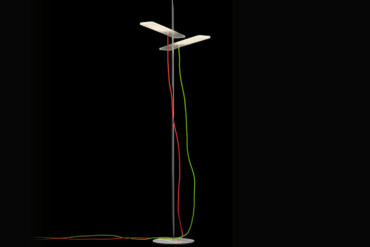 And what is important is not just the light color that the LEDs create, but also the diffusion. 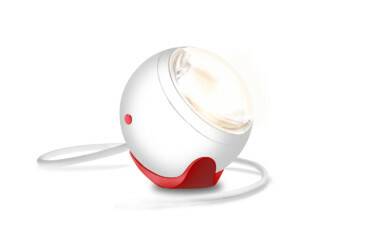 Since LED light is clearly focused, you need all sorts of magical lenses to generate diffused light. The design challenge facing makers would then be the line used to diffuse the light. 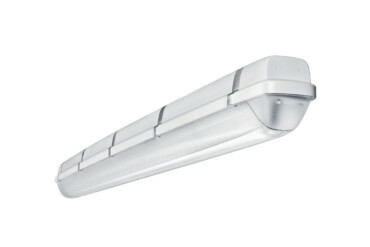 As sometimes it is really quite fat and thus upsets the otherwise slender design of the LED luminaires. 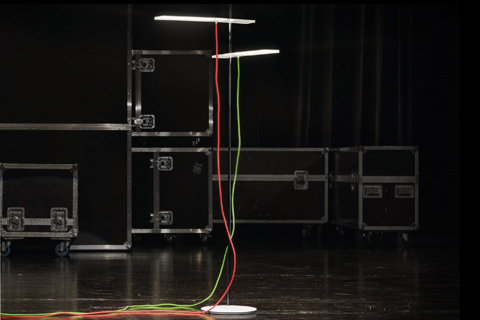 In this context, in the midst of what are sometimes almost anorectically flat LED designs, with their elegant curves “Nice” and “Falling in Love”, both created by Tobias Grau, are a welcome change. 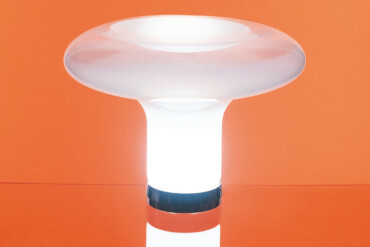 Vosla presents an illuminant resembling the old light bulb: “VosLED” combines the familiar shape and the warm light with the LEDs’ energy-saving advantages. A gaseous mix actually serves to keep the illuminant cool. Meaning you cannot only change your VosLED without burning your fingers, but you can combine it with sensitive materials. 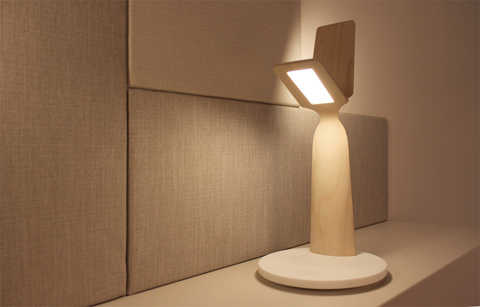 With the growing presence of LEDs, wood seems to have emerged in a supporting role – it’s an ideal combination for the manufacturers. The floorboards in the Louis Poulsen booth creaked like in some turn-of-the-20th-century apartment. 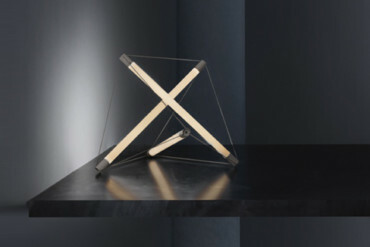 At Spittler and Viabizzuno the products were presented in simple houses made of rough, bright wood. 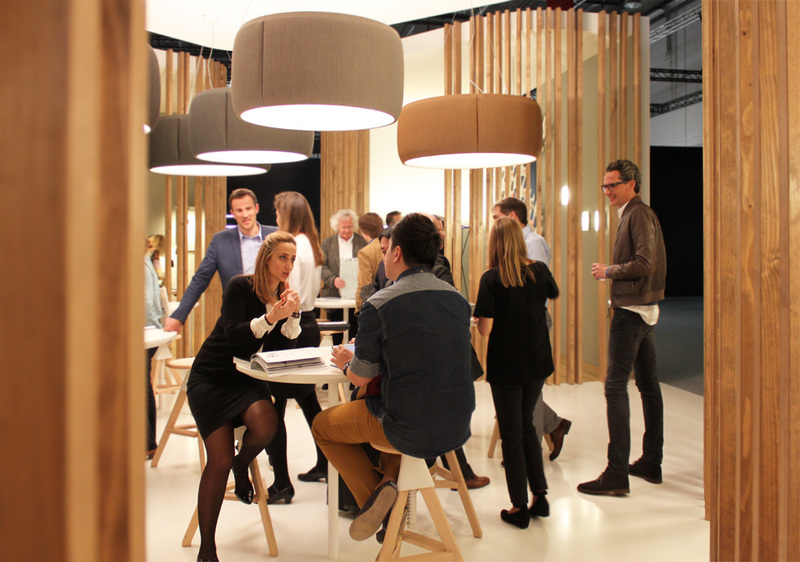 And at the Luceplan booth, squared timber exuded a pleasant charm of its own. For all the LEDs, the stands seemed comfortably warm and that homely feeling put paid to any desire for light bulbs. Given the focus on LED technologies one found oneself asking what had happened to the OLEDs. Well, they’re still at hand, albeit where they were two years ago. Philips, Osram, LG, Samsung have all got a “board” in their programs. Maybe a little larger than two years ago, but otherwise nothing really new. Whether something will evolve here? 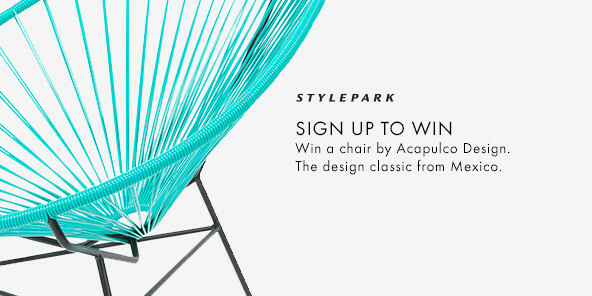 It’s basically guesswork. At any rate, last year Samsung acquired Dresden-based OLED makers “Novaled” for EUR 260 million, not a sum you simply put on the table to throw it away. 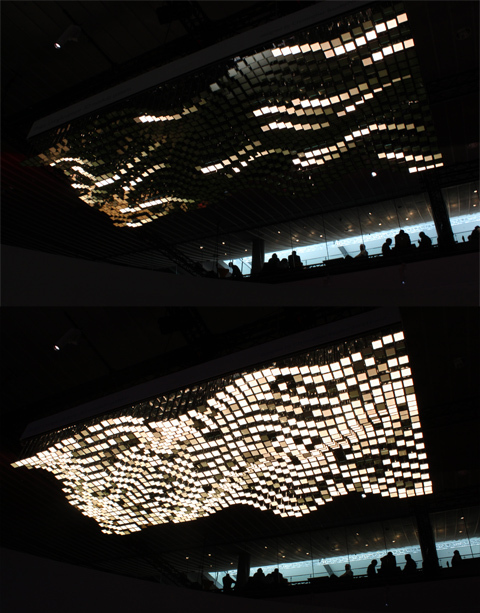 The lighting experience afforded by the small OLED discs at the fair was impressive, but only just so. 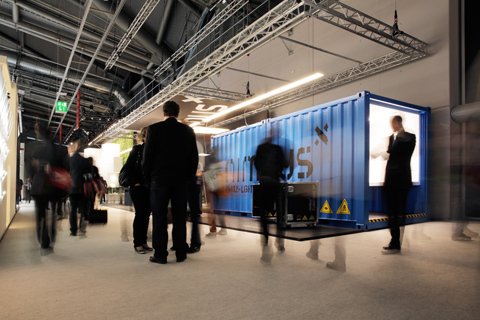 Philips presented its “Living Sculpture 3D Module” system. 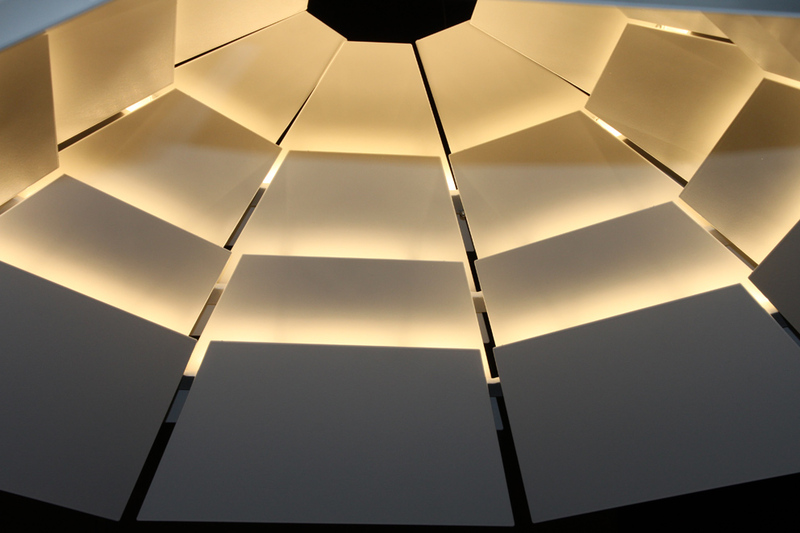 An OLED is mounted on a tile – the OLED can be controlled individually and the height of the tile adjusted. 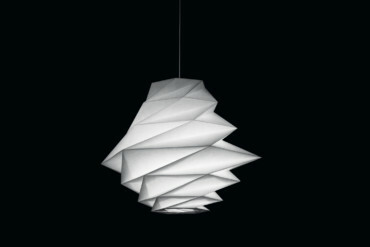 Introducing a little movement into ceilings, and somehow reminiscent of disco lighting. Anyone who has worked in an open-plan office knows only too well that everyone has a different feel for light. Hardly have you turned a light on than someone complains it is too bright. Habits and working methods simply always differ somehow. And precisely offices, or so a study by Zumtobel and the Fraunhofer Institute shows, are “illuminated” quite wrongly – only rarely do they meet the different needs of the employees, who seldom have the opportunity to adjust the light to “their” own preferences. 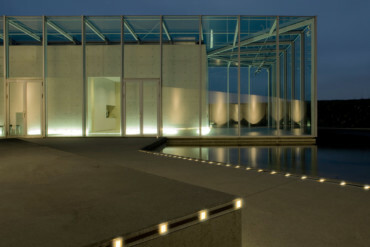 Zumtobel has responded to this with a new light management system called “Litecom”. Using software, each person in the office can set “his” or “her” light, meaning adjust the light temperature and brightness, putting an end to the eternal wrangles with your colleagues. 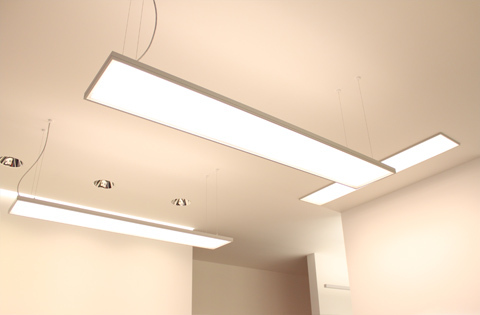 Zumtobel not only offers the “right” light, but also the right software solution to go with it. Other manufacturers are moving in the same direction. The two main themes of the Light+Building are thus increasingly melding, as lighting and building automation now tend to be construed as a single quality or quantity. 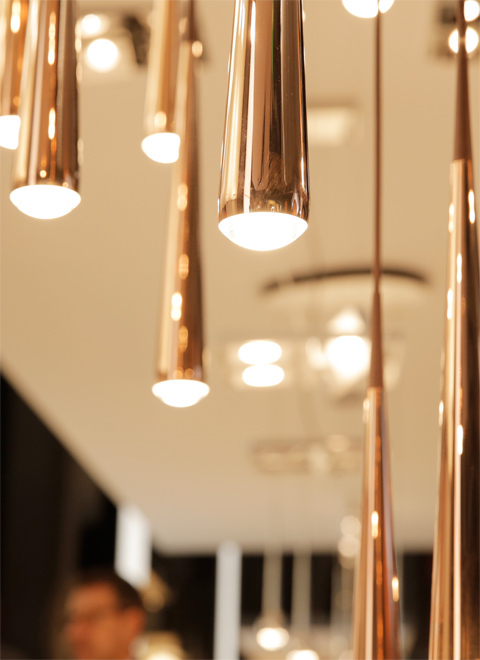 During world's leading lighting trade fair the latest product developments were shown, but you also could notice here and there a wistfully look back to the light bulb - not only on their "light color", but also on its shape. It will be fascinating - both the "future" of light in the form of OLEDs as well as the handling and the further development of existing technologies and products.